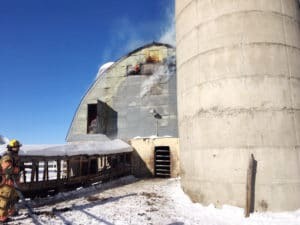 A barn caught fire Feb. 8 when a breaker box was struck while a man was clearing snow. The sparks set the hayloft on fire. The fire started at 2:31 p.m. at 29633 CR 2 in St. Joseph Township. 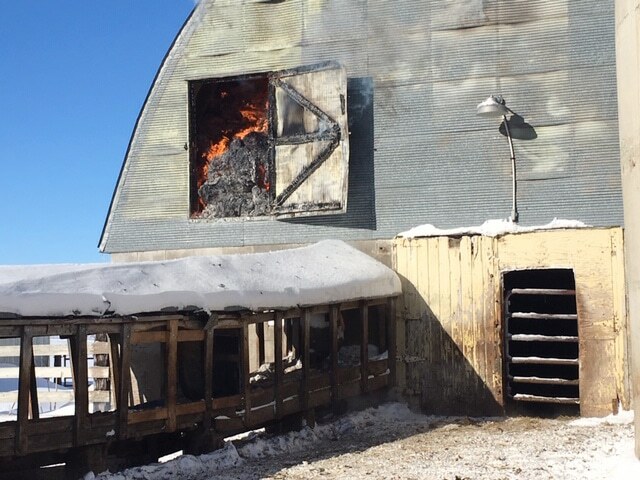 According to Sheriff Steve Soyka, Norbert Walz, 61, reported his barn’s hayloft was on fire. Walz was able to get all of the livestock out of the barn. The St. Joseph Fire Department responded to extinguish the fire. They were assisted by Avon, Cold Spring, Richmond, Rockville, St. Stephen and Waite Park fire departments. The Waite Park Police Department and a DNR officer assisted with traffic control. 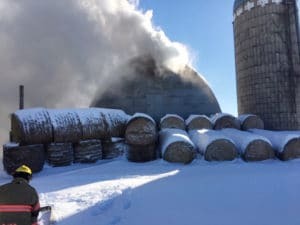 The fire started in the hayloft.